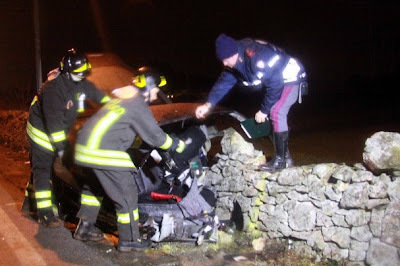 This afternoon, a black Ferrari 458 Italia has caused a terrible accident in South Italy, more precisely on the interstate road 172 to Taranto. 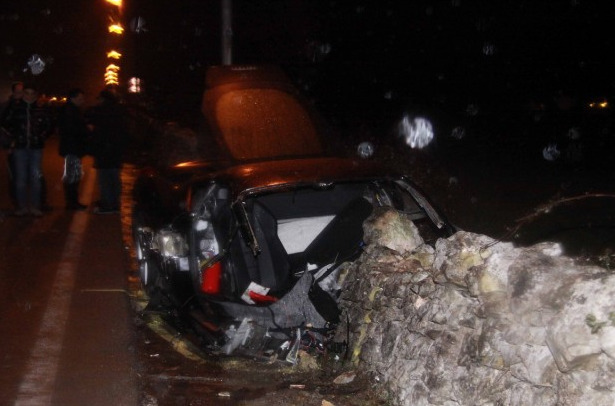 The main cause for this accident was the slippery road due to the bad weather conditions. This accident has involved the Ferrari and four other cars. 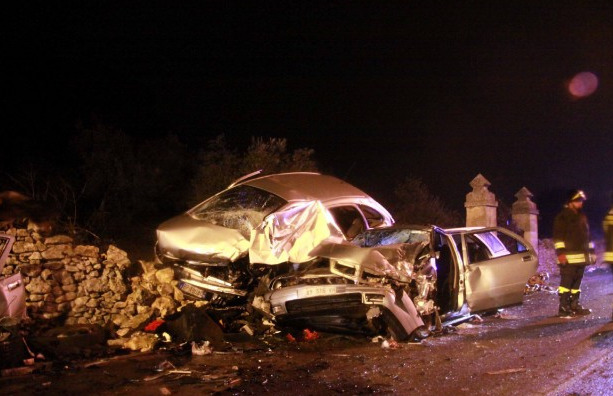 Sadly, there are three victims and nine injured people. 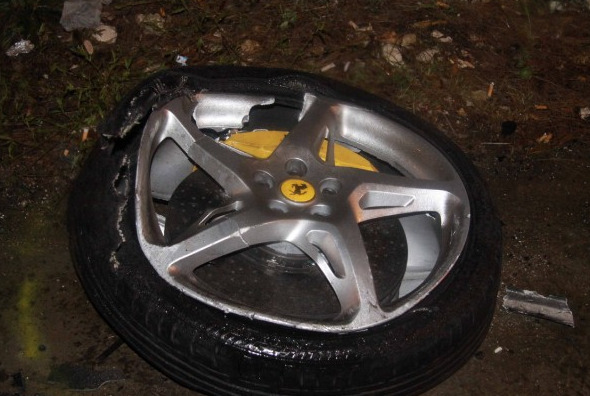 The 57 years old driver of the Ferrari is one of the victims, he was a businessman known in the area. The crash against the wall was so hard that his body had flown about tirty metres away from the car; there's also nothing left from the front of the car. the main reason isnt slippery roads , it's speed , a car wouldnt slide at low speed , and If so the crash wouldnt be that bad. and If he used a seatbelt he wouldnt actually be projected from the car and die. If you people want to run , use circuits , and always wear seabelts please. I'm from a small village between Taranto and Martina F. and this guy was very well known around because he usually had the best cars you can see here. Other than these 458 bought about six months ago, he had un black Lamborghini Gallardo, one slighlty modified silver/carbon Audi R8, one Ice White Maserati GT and a Quattroporte, an Azure Ferrari 360 Spyder. He sold the Maserati GT when another guy (notorious thug) bought a White/Carbon Limited Edition MC Sport Line. You could easily see him drive around at really high speed... and I have to admit that was a beautiful sight given the fact that here you never see such cars. Wreckless till the end, apparently.